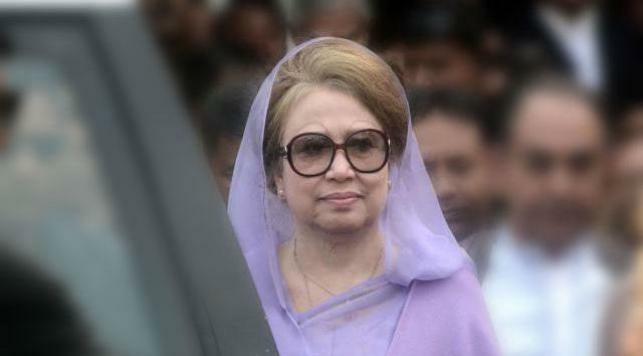 Cumilla, Oct 15 : A court here on Monday accepted the bail petition of BNP Chairperson Khaleda Zia in a murder case filed over the death of eight people in an arson attack here in 2015. Judge of the District and Session’s Judge Court KM Shamsul Alam accepted the petition and fixed November 11 for hearing it, said Advocate Kaiyum Haque Rinku, a lawyer of the BNP chief. Earlier on October 3, Senior Judicial Magistrate Biplab Debnath rejected the bail petition of Khaleda Zia in the murder case. Eight people were killed and at least 20 others injured in a petrol bomb attack on a bus at Jogmohanpur in Chouddagram upazila during the BNP-led alliance’s movement on February 3, 2015.